As a hard-working site owner, it is often difficult to find the time to work on issues that are holding your company back. You might find that the blog posts of your competitor appear higher in search results, but you don’t know what to do about it. Or, you might discover that your site isn’t performing as well as you’d like, even after you’ve tried everything in your power. For most people, time and lack of knowledge are the factors that limit their success. That’s why we’ve developed Yoast SEO Care. We take the most important technical tasks out of your hands and put them into the trusted hands of seasoned SEO professionals. It’s hard to figure out where something is going wrong. But, it’s even harder to discover where to make little changes that can have a dramatically positive effect on your results. You’ve tried to read up on SEO related subjects, but the information is scattered, outdated or just plain wrong. It’s difficult to cut through the bull to get to the real, actionable knowledge. Nobody has time for this, except for us: it’s our job. You’ve worked hard to build your business. Countless hours to make it grow, year after year. That’s something to be proud of. It takes a lot of effort to become successful. Your site is a crucial part of your business and therefore needs special attention. If you can’t find the time to work on it, or if you fear the technological side, then you need outside help. By calling in Team Yoast, you’ll get back the freedom to work on other aspects of your business. The experts at Yoast have your back on the technical side of things. We have checked countless sites from clients big and small, from the little artisan bakery around the corner to some of the world’s leading online magazines. Not everyone can call Disney, NASA and StarWars.com their customers. In addition to that, we know what it’s like to help people make their website better. Currently, the Yoast SEO plugin runs on more than five million sites. 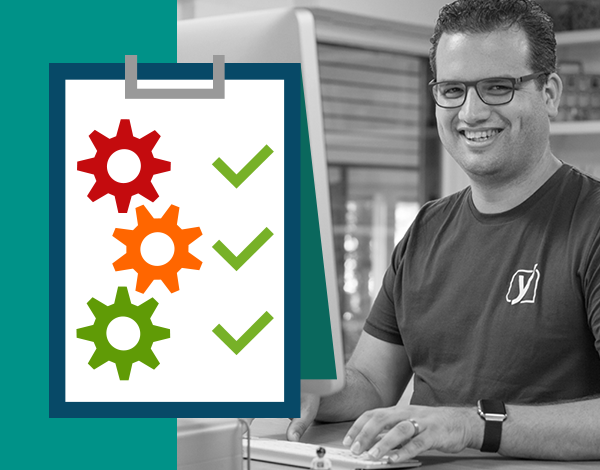 For years, Yoast has been helping people to get the most out of their sites and making SEO available for everyone. Technical SEO: are technical issues holding you back? How does your content perform? And how to make it better? Site structure: is your site and content structure correct? Mobile: how does your site function on mobile phones? Besides the comforting feeling that a world-class SEO company is looking out for your painstakingly built site? A personal SEO expert will regularly check your site. He or she will fix issues, make enhancements and give you easy to understand advice that you can use to make your work even better. Following the check-up, your site is in perfect condition to take on any competition you might have. There are two Yoast SEO Care packages. Yoast SEO Basic Care is for site-owners who want a bit of guidance in their work. You still have to put in some work yourself. That’s fine if you have an understanding of SEO, but just need a little nudge. The monthly SEO Care packages gives our experts much more time to invest in your site, making it better in every possible way. All these checks will be done by a Yoast expert, who will also fix issues, if any, and improve the site in general. You will also receive updates on the progress of your site, plus actionable advice that you can easily implement yourself. In the end, your site is ready to outrank and outperform your competitors! Ready to make your site a runaway success? Do you lack the time and skills to take your site or business to the next level? Are you often banging your head on your desk in search of the right answer to a technical challenge? Do your competitors perform better and you can’t figure out how to beat them? Yoast SEO Care can help! Call in Team Yoast and be prepared for more traffic and more sales.